A. Start Visual Studio (2005 - 2015, Express editions are not supported). B. 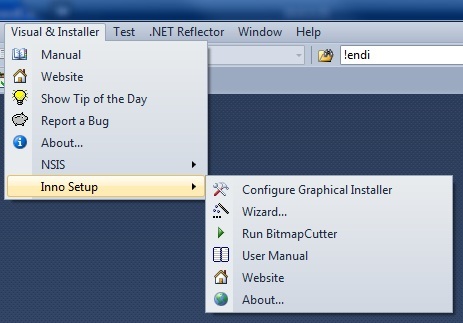 In main menu you can see a new item – Visual & Installer. Click it. 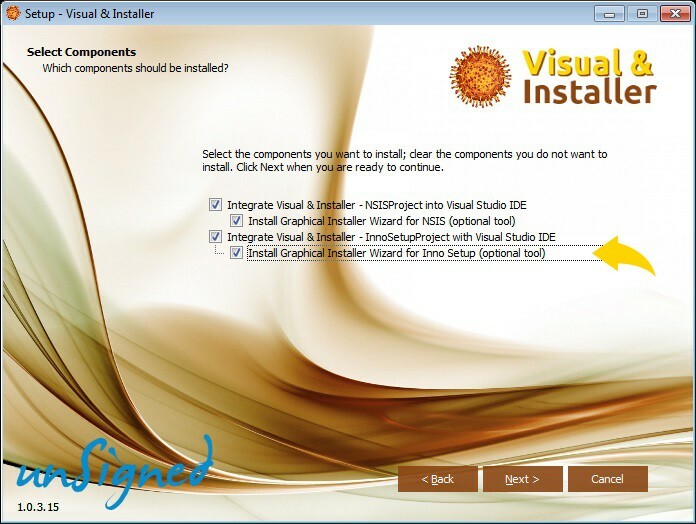 If you cannot see the Inno Setup sub-menu or the toolbar from picture above then please check your Visual & Installer installation directory for presence of file viGiwInnoSetup.dll. Plug-in is being copied here during the setup process of Visual & Installer. Make a sure you checked it during installation of Visual & Installer. 1. Start Visual Studio if you have closed it. 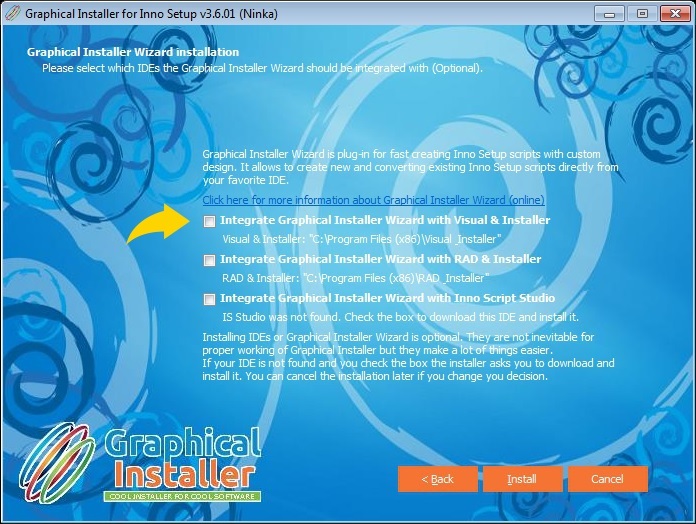 If you had Visual & Installer already installed, everything is set automatically during the setup process, so all you need is to check whether paths are correct.